An elegant solution for covering your doors and windows, the Aquila 2050 provides protection from inclement weather. 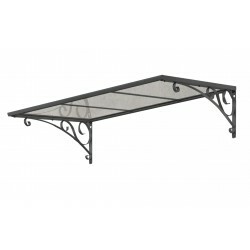 The nearly 7 foot span is ideal for double entry doors or for protecting items near your doorstep. 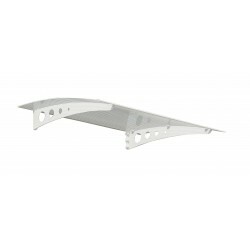 The front gutter and hidden gasket will direct rain and snow away to the sides. The strong, steel support arms and anodized aluminum front and back trims of the Aquila 2050 are sleek and stylish. Modern, high end materials are neutral enough to match any home décor. The Aquila doesn’t require any special tools for setup and the smart and fast locking system will have your door cover up in no time. 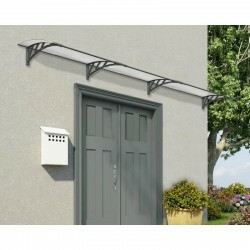 Keep your home entrance dry and protected from the elements, including damaging UV rays, in every season. The clear 100% UV protected polycarbonate panel allows light through but filters UV rays that can make your door fade and peel. Integrated front gutter directs rainwater off to the sides. 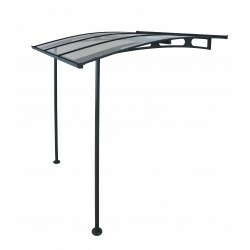 The Palram Herald 6690 Door Awning will protect you and your family from any weather. Made from materials that are durable and maintenance thus ensuring you and your family a long years of protection. On Sale Until April 30thOnly While Supplies Last!FREE Fast Shipping! 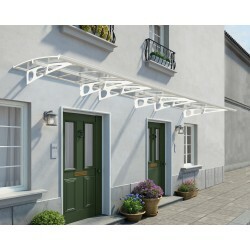 The Palram Herald 4460 Door Awning was designed to keep your entrance area dry and to protect it from the elements. Manufactured with long lasting materials, the Herald features powder coated galvanized steel support arms and aluminum front and back trims. On Sale Until April 30thOnly While Supplies Last!FREE Fast Shipping! 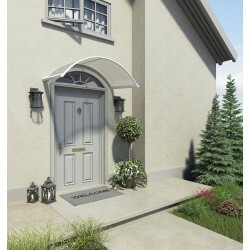 The Palram Herald 2230 Door Awning was designed to keep your entrance area dry and to protect it from the elements. Manufactured with long lasting materials, the Herald features powder coated galvanized steel support arms and aluminum front and back trims. On Sale Until April 30thOnly While Supplies Last!FREE Fast Shipping! The Neo 2700 is a perfect fit for protecting your doors and windows while adding character to your home. High impact polymer support arms and Palram’s twin-wall polycarbonate roof panels make the Neo 2700 lightweight, durable and a reliable solution for fending off inclement weather and harmful UV rays. New Sale Price! 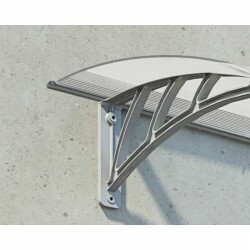 The Neo 4050 is a perfect fit for protecting your doors and windows while adding character to your home. High impact polymer support arms and Palram’s twin-wall polycarbonate roof panels make the Neo 4050 lightweight, durable and a reliable solution for fending off inclement weather and harmful UV rays. New Sale Price! 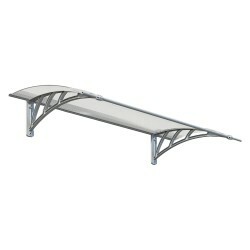 This Aquila 2050 XL Awning Kit from Palram is great for sun protection over doors and windows. This kit will protect you and your family from any inclement weather. Call us at 877-307-4337 for more information. Clearance ItemHurry, Only 2 Left!FREE Fast Shipping! This Aquila 2050 XL Awning Kit provides sun protection both indoors and out, and can even guard you against elements like rain, snow and hail. Clearance ItemHurry, Only 2 Left!FREE Fast Shipping! Protect your windows and doors from inclement weather with the modern design of the Lyra 1350. Built to fend off snow, rain and hail, the single roof panel of the Lyra 1350 is made with Palram’s market leading twin-wall polycarbonate, which is virtually unbreakable and 100% UV protected. New Sale Price! Attractively made for you. 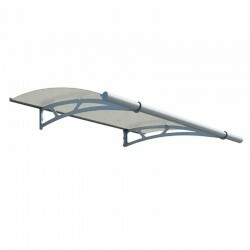 This awning will secure you from the sun, rain, snow and even hail. For more details about this item, contact us now at 877-307-4337. Clearance ItemHurry, Only 2 Left!FREE Fast Shipping! 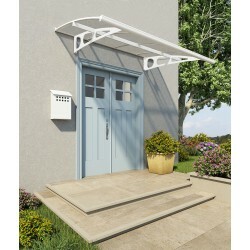 Protect your entryway from the elements with the simple, elegant design of the Venus 1350 door awning. 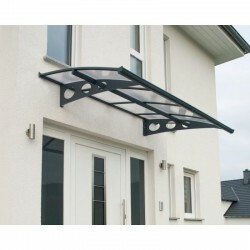 This awning provides 100% protection from harmful and damaging UV rays. Get yours now! FREE Fast Shipping! An elegant covering solution for your doors and windows, the Aquila 1500 will provide protection from the weather throughout the year. 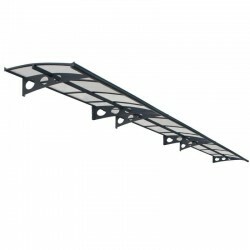 The front gutter and hidden gasket will direct rain and snow off to the sides.On Sale Until April 30th!Only While Supplies LastFREE Fast Shipping! 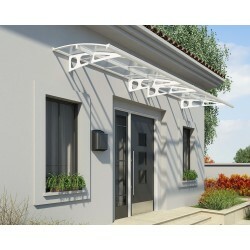 Looking for a shade that can protect you from the day's climate? 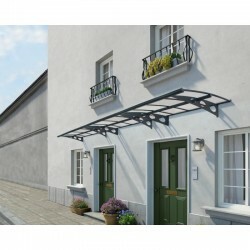 This Corona 1580 5x3 Awning will fit your need. Call us not at 877-307-4337 for more details. Clearance ItemHurry, Only 2 Left!FREE Fast Shipping! The Vega 2000 is the perfect candidate for protecting your entrance areas, doorways and store fronts from inclement weather. New Sale Price! The Neo 1350 is a perfect fit for protecting your doors and windows while adding character to your home. New Sale Price! An elegant covering solution for your doors and windows, the Aquila 1500 will provide protection from the weather throughout the year. Made from clear 100% UV protected polycarbonate panel allows light through but filters UV rays that can make your door fade and peel. On Sale Until April 30th!Only While Supplies LastFREE Fast Shipping! 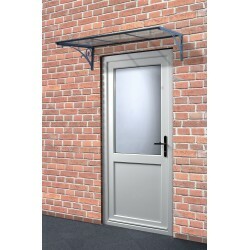 The Bordeaux Door Awning is the ideal solution for protecting your entryway from weather’s harsh elements while adding a sense of style to your home or business. On Sale Until April 30th!Only While Supplies LastFREE Fast Shipping!